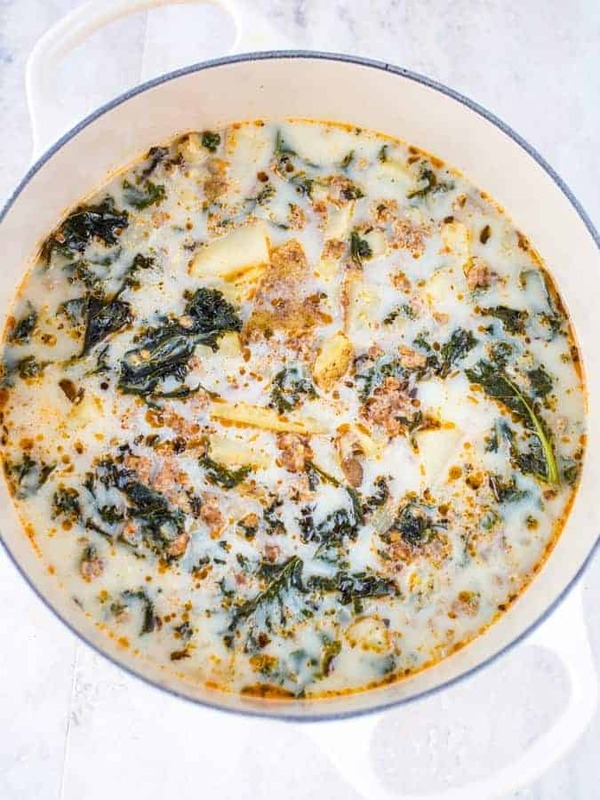 Easy Zuppa Toscana Soup Recipe. (Olive Garden Copycat.) The best stovetop recipe for the spicy sausage, kale, and potato soup you love. 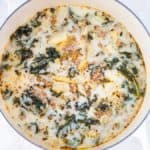 Thanks to this site, I’ve discovered my new-favorite soup: Olive Garden’s Zuppa Toscana. A reader requested the recipe and I was smitten with the spicy sausage and kale soup at first bite. 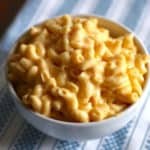 I created the recipe for the Instant Pot. If you love using an Instant Pot or other countertop pressure cooker, this isn’t a problem. But if you don’t love the appliance or own one, it obviously is. I realized this yesterday while texting a friend. We were chatting about…the Olive Garden. (yes, really) And she mentioned that she loved their soups. Since I never miss an opportunity to share a recipe, I fired off the links to my Olive Garden copycats: Zuppa Toscana and Pasta e Fagioli. I thought about our exchange all night. 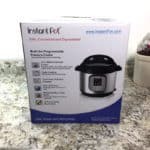 Rachel loves the soup but she doesn’t love her Instant Pot. 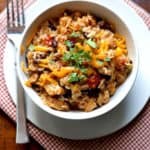 (She had…let’s call it an experience making my Instant Pot Chicken Burrito Bowls.) It felt ridiculous that I’d created a copycat recipe for her favorite soup made in an appliance that she doesn’t love using. I wanted to fix that. I headed to the market to buy the ingredients to make the soup. The recipe needed a non-Instant Pot makeover. There’s only one difference between Zuppa Toscana made in the Instant Pot and it made on the stove: the amount of broth used. When food cooks in a pressure cooker, none of the liquid evaporates. In fact, for many foods, you end up with more liquid after cooking than before because meats and vegetables naturally give off liquid while they cook. And since the pressure cooker is designed to trap steam, it doesn’t escape. On the stovetop, some of the liquid naturally evaporates as the soup cooks. The original recipe called for 6 cups of chicken broth. This one uses eight. Use hot Italian sausage. Mild sausage gives the soup a flat flavor. There’s an important step that I want you to know before making this soup: you must skim the fat from the sausage after cooking. This step is so important that I wish I could put it in flashing neon lights. If you don’t skim the fat the soup will turn out unpleasantly greasy. After cooking the sausage, there are a few ways to drain the excess fat. The paper towel method: turn off the burner. Push all the cooked sausage to one side of the pot. This is easy for this recipe because we’re cooking it in a large soup pot. After a minute or two, the excess fat runs from the sausage. Use a paper towel (or two) to soak up the fat. Then discard the paper towel. Use a fat skimmer. Clip a fat drainer onto the side of your pot. Pour the excess grease into a heatproof bowl. Discard. Use a strainer. Set a strainer over a large bowl. Spoon the cooked sausage into the strainer. Allow the fat to drain from the sausage. Discard. Use Russet or Yellow Potatoes. The russets cook up soft and tender, like the potatoes in the soup at the Olive Garden. Yellow Potatoes are firmer. To prep the potatoes. Scrub them. There’s no need to peel. Then cut in half lengthwise. Cut each half again, lengthwise. Then cut the potatoes into slices. Use a low sodium Chicken Broth. My one complaint about the soups served at the Olive Garden is that they tend to be overly salty. When making soup at home, you have control over the amount of salt. I like to use a no sodium broth, like Kitchen Basics. If you use a low or regular chicken broth, don’t salt the soup at first. Between the chicken broth and sausage, there’s plenty of salt in the soup. At the end of cooking, after you added the half and half, adjust the salt to your liking. Use Chopped Kale, it makes life easier. If you don’t want to buy a bag of chopped kale, be sure to remove the thick stems from fresh kale before using. Can I use mild sausage? You can but…when I tested this recipe with sweet sausage it tasted a bit flat. If you want the soup to taste like the one served at the Olive Garden, use hot sausage. Can I reduce the recipe? Yes. Simply divide the recipe in half. 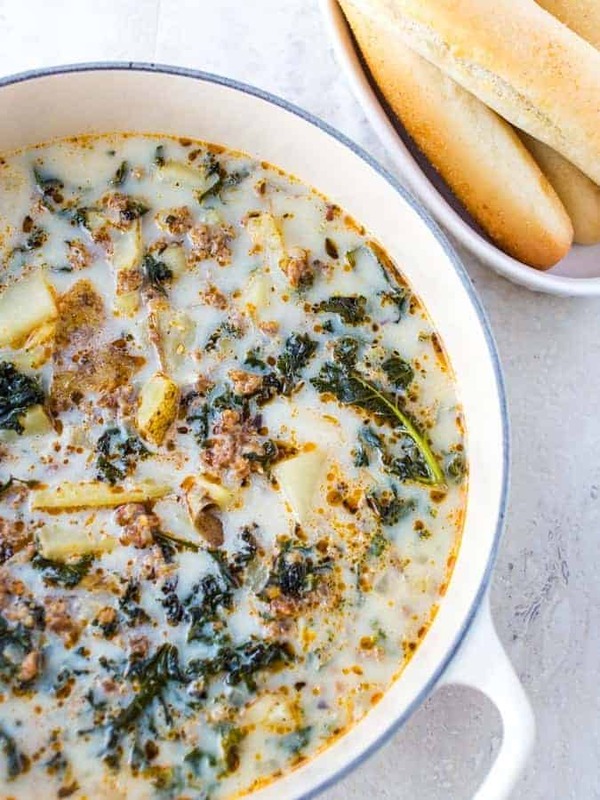 Can I freeze Zuppa Toscana? The potatoes will break down during freezing. If you’re okay with that, go ahead and freeze the soup. Spicy sausage, kale, and potato soup. Easy to make. Olive Garden Clone. Add diced onions. Cook, stirring frequently, until onions are soft, about two minutes. Add garlic, basil, and oregano. Stir. Cook an additional minute. Add chicken broth, potatoes, and kale. Bring soup to a gentle boil. Once it reaches a boil, reduce heat to low. Simmer soup until potatoes are tender, about 25 minutes. Stir in the half and half. Taste. Adjust salt and pepper as needed. Store leftovers in the refrigerator for up to three days; freeze for up to three months. It's important to drain the excess fat from the sausage after cooking or the soup can turn out unpleasantly greasy.